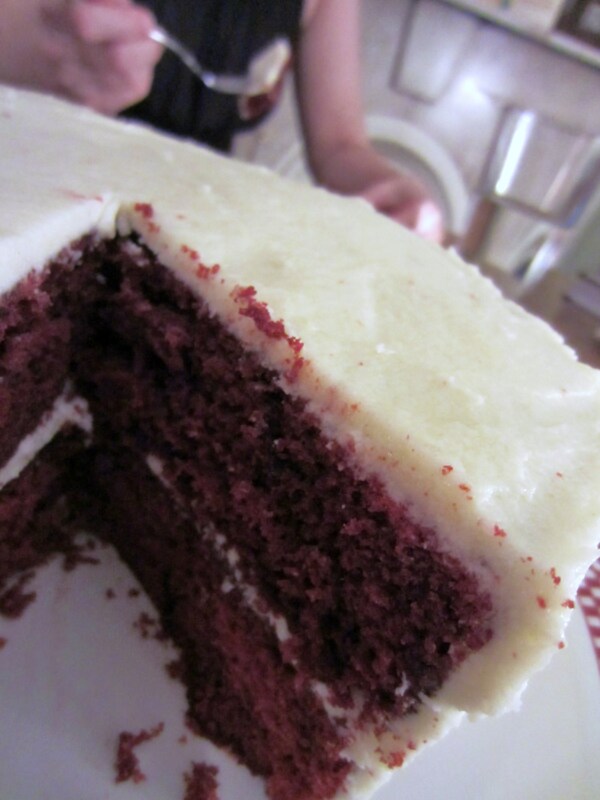 I’ve never tried a red velvet cake but keep meaning to bake one. I’ve been a bit wary about the amount of food colouring that seem to go in some of them tho, so this looks like a good recipe. And will give the frosting a go too as I’m not fond of overly sweet ones. Is it normal caster sugar that goes in it or confectionary sugar? Regular sugar, not confectioner’s. Good luck. Hope it turns out. 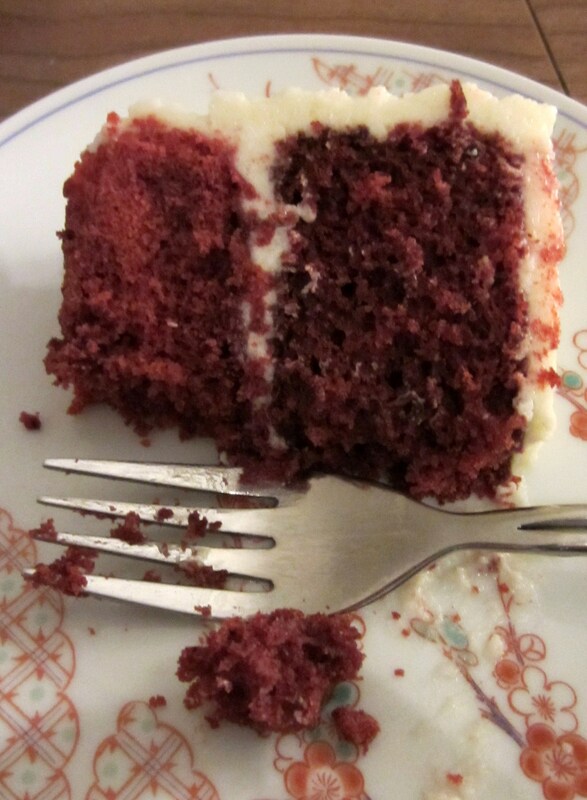 Fascinating note about the icing! 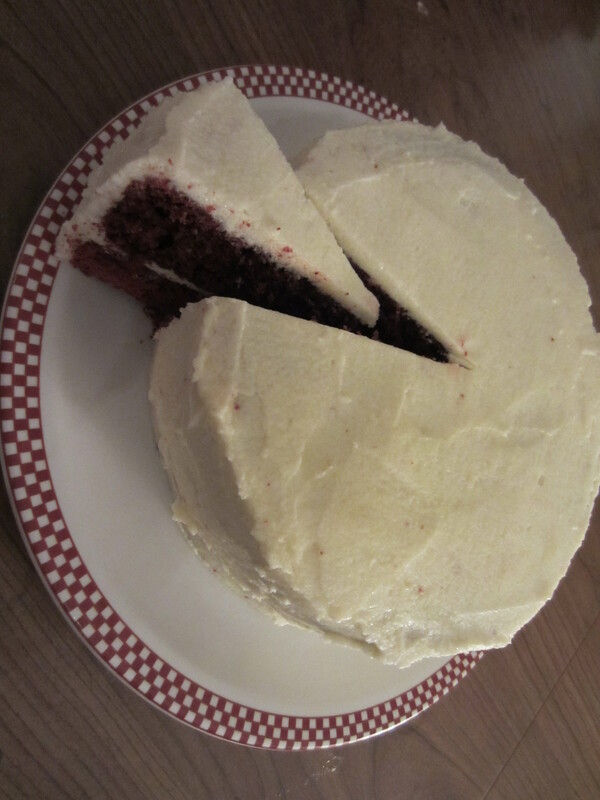 I am no stranger to red velvet cakes, but have always had and made them with cream cheese icing (which can definitely dominate). I’ll have to try this next time! You really should try it, Kathleen, it a very different pairing that I think is lighter and work so well with the chocolatey cake. Anyone wanting to make a cake relying on the reaction with the cocoa for a reddish color, should know to not use “Dutch” or alkali processed cocoa. That changes the pH & the red color won’t result. Look for natural cocoa, not Dutch, for this type of recipe.